In this article, we’ll introduce developers to programming MongoDB using the Python programming language. PyMongo is the name of the client library (in MongoDB speak we refer to it as a “driver”) we use to interact with the MongoDB Server. To get started we need to install the toolchain used by a typical MongoDB Python developer. First up is m. Hard to find online unless your search for “MongoDB m”, m is a tool to manage and use multiple installations of the MongoDB Server in parallel. It is an invaluable tool if you want to try out the latest and greatest beta version but still continue mainline development on our current stable release. The easiest way to install m is with npm the Node.js package manager (which it turns out is not just for Node.js). If you canâ€™t or donâ€™t want to use npm, you can download and install directly from the GitHub repo. See the README there for details. For today we will use m to install the current stable production version (4.0.2 at the time of writing). We run the stable command to achieve this. MongoDB version 4.0.2 is not installed. If you need to use the path directly in another program you can get that with m bin. Now that we have a server running we can confirm that it works by connecting via the mongo shell. 2018-07-06T10:56:50.973+0100 I CONTROL  [initandlisten] ** WARNING: Access control is not enabled for the database. 2018-07-06T10:56:50.973+0100 I CONTROL  [initandlisten] **          Read and write access to data and configuration is unrestricted. 2018-07-06T10:56:50.973+0100 I CONTROL  [initandlisten] ** WARNING: You are running this process as the root user, which is not recommended. 2018-07-06T10:56:50.973+0100 I CONTROL  [initandlisten] ** WARNING: This server is bound to localhost. 2018-07-06T10:56:50.973+0100 I CONTROL  [initandlisten] **          Remote systems will be unable to connect to this server. 2018-07-06T10:56:50.973+0100 I CONTROL  [initandlisten] **          server with --bind_ip 127.0.0.1 to disable this warning. These warnings are standard. They flag that this database has no access controls setup by default and, that it is only listening to connections coming from the machine it is running on (localhost). We will learn how to setup access control and listen on a broader range of ports in later episodes. First we need to install the MongoDB Python Driver, PyMongo. In MongoDB parlance a driver is a language-specific client library that allows developers to interact with the server in the idiom of their own programming language. For Python that means installing the driver with pip. In node.js the driver is installed using npm and in Java you can use maven. We recommend you use a virtual environment to isolate your PyMongo Monday code. This is not required but is very convenient for isolating different development streams. First we import the PyMongo library (1). Then we create a local client object (2) that holds the connection pool and other status for this server. We generally donâ€™t want more than one MongoClient object per program as it provides its own connection pool. Now we are ready to issue a command to the server. In this case it’s the standard MongoDB server information command which is called rather anachronistically isMaster (3). This is a hangover from the very early versions of MongoDB. It appears in pre 1.0 versions of MongoDB (which is over ten years old at this stage). The isMaster command returns a dict which details a bunch of server information. In order to format this in a more readable way we import the pprint library. We have installed MongoDB, installed the Python client library (aka driver), started a mongod server and established a connection between the client and server. Next week we will introduce CRUD operations on MongoDB, starting with Create. For direct feedback please pose your questions on twitter/jdrumgoole. That way everyone can see the answers. The best way to try out MongoDB is via MongoDB Atlas our fully managed Database as a Service available on AWS, Google Cloud Platform (CGP) and Azure. 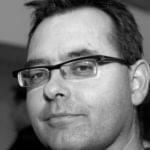 Joe is the Director of Developer Advocacy, EMEA at MongoDB.